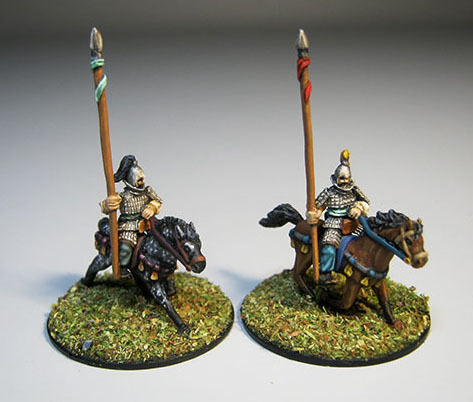 This line represents the three great kingdoms that ruled the Korean peninsula (and much of Manchuria) for most of the first millenium. 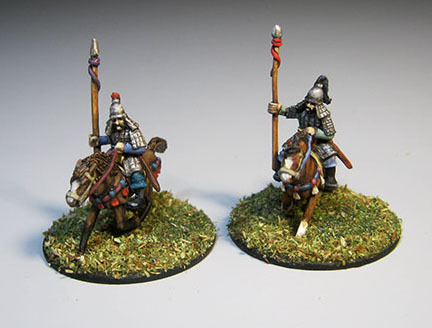 These kingdoms were Goguryeo (Korguryo) in the north -- powerful and militaristic, and two kingdoms in the south, Silla and Baekje (Paekche) -- both relying on foreign alliances to counterbalance the military power of the North. 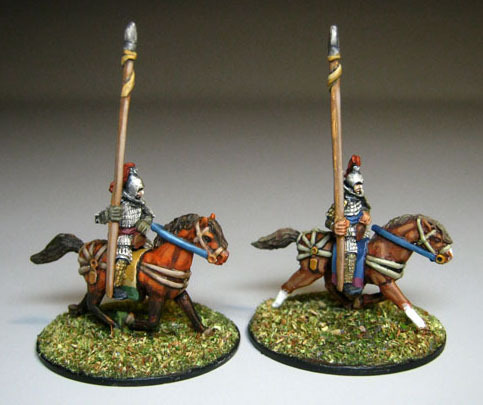 (Certainly not anything like today!) 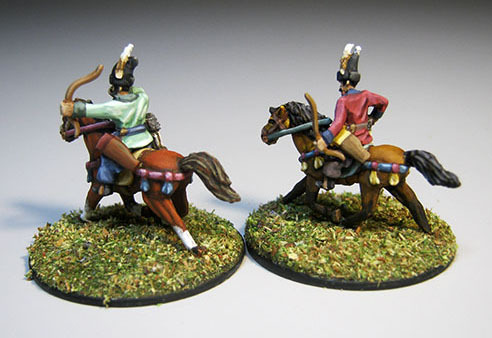 Baekje was allied with the Kofun era Japanese, and Silla with the T'ang Chinese -- both ranges we make in the same time period. 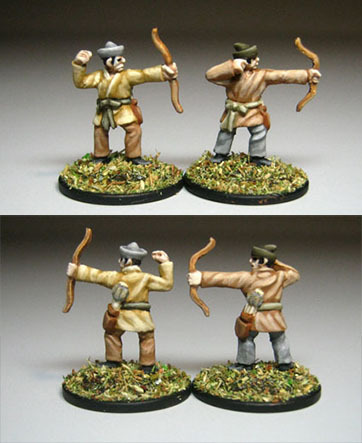 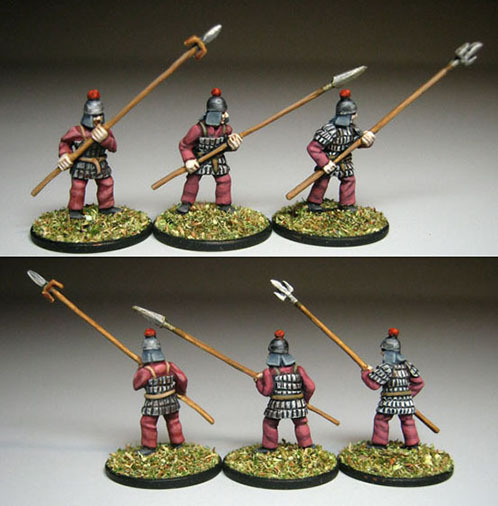 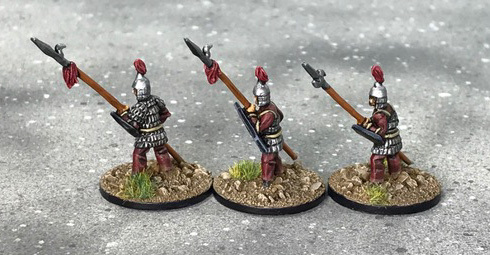 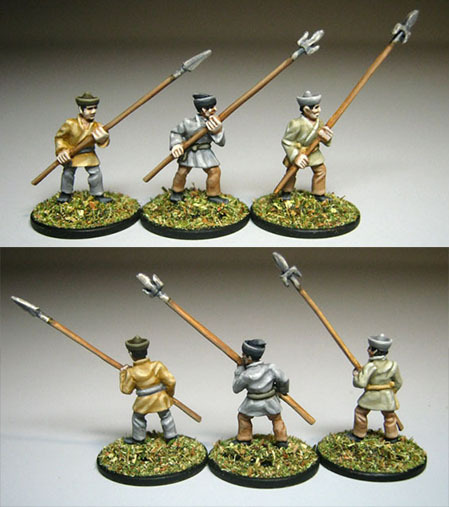 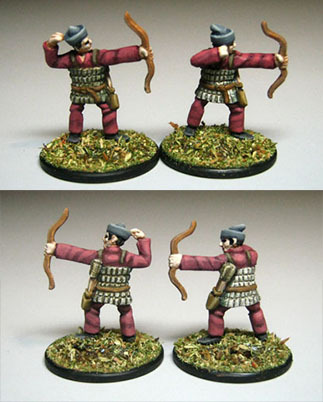 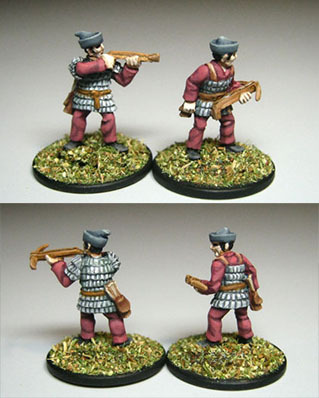 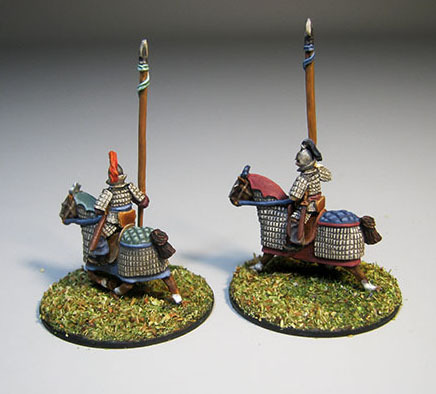 These models may also be suitable for Silla armies after they had (mostly) unified the peninsula, and for the Balhae, a Goguryeo successor state. 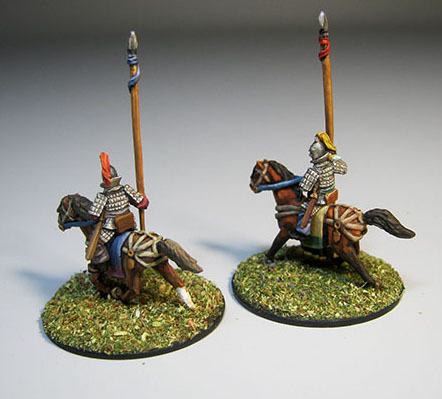 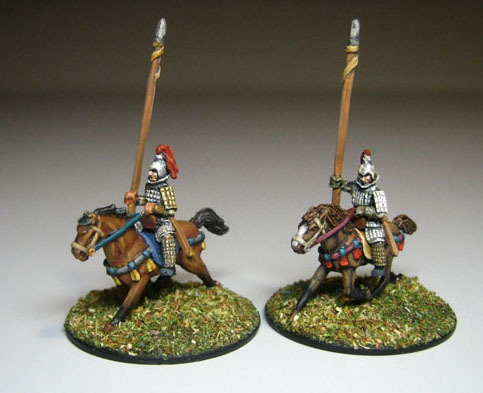 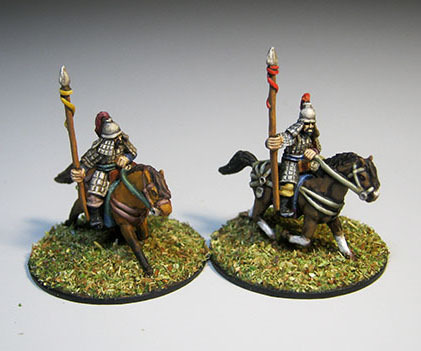 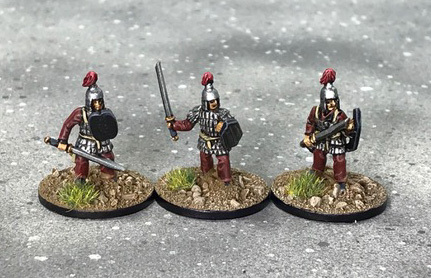 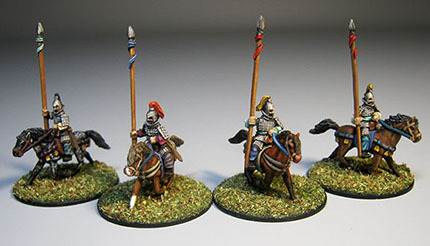 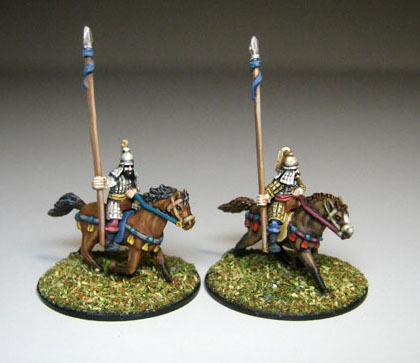 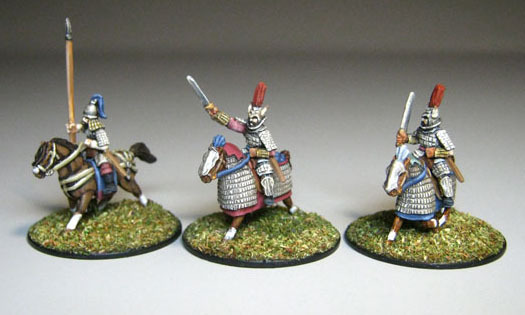 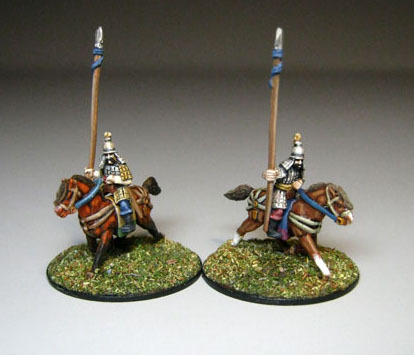 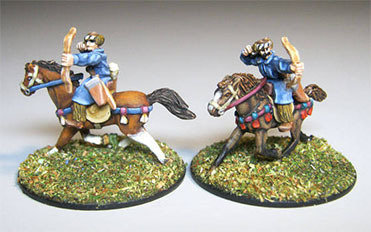 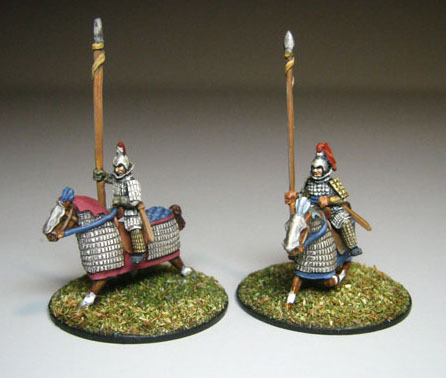 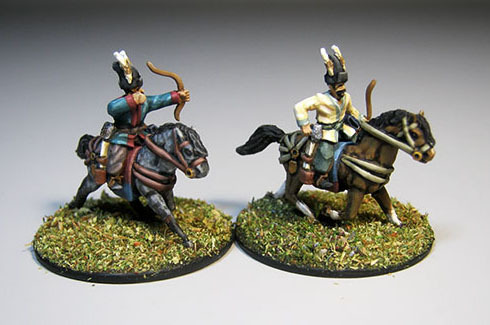 Many of the cavalry are available with several choices of horse types: armoured, an unarmoured type with fancy rump straps, and a plainer unarmoured type with tassels.